見ませんかーthis is the focus of the current work I am trying to finish. I have yet to decide where this provocative ( atleast I hope it is~) statement can be put. 見- means to see, eyes etc. ませんか- basically means lets do this. In other words, let's see this. 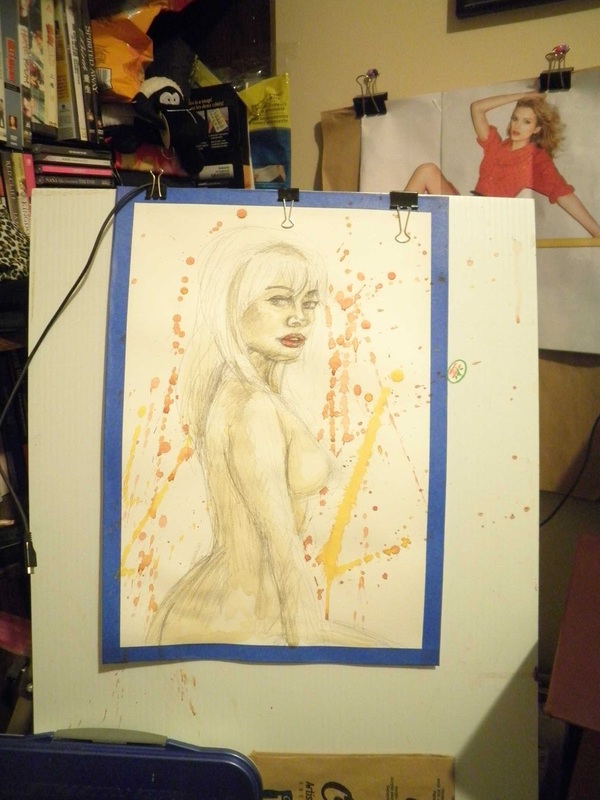 Paired with this very naked portrait it makes for an interesting work. This is the second work I have used Japanese text in. My other work is in my Tea series.